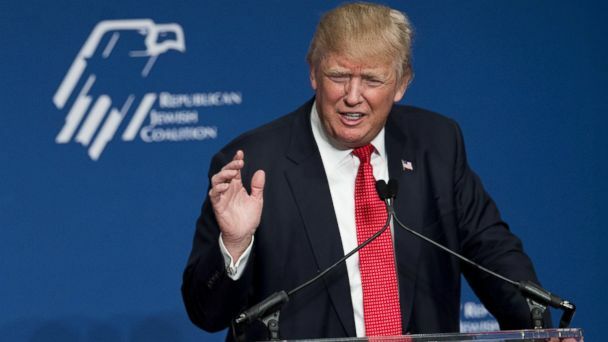 Bipartisanship is breaking out in Washington over Donald Trump's latest comments on Muslims. The presidential contender brought Democrats and Republicans together in condemnation of his plans to bar Muslims from entering the United States. "Donald J. Trump is calling for a total and complete shutdown of Muslims entering the United States until our country's representatives can figure out what is going on," his campaign announced in a statement this afternoon. Republican Sen. Jeff Flake of Arizona quickly called him out on Twitter. Sen. Tom Cotton, R-Ark., a national security hawk, said during a cable news interview, "I would say I don't support the policy, but I also think the president needs to focus more on defeating the Islamic State." Indeed, no Republican leaders, as of this evening, were prepared to support Trump's plan. "I think you've seen that the leader has stayed away from commenting on the presidential candidates," Don Stewart, a spokesman for Senate Majority Leader Mitch McConnell, said. And AshLee Strong, a spokeswoman for House Speaker Paul Ryan, said the congressman would not weigh in on the matter today but would likely address it at his weekly press availability Tuesday. Ryan has previously condemned the idea of religious tests in interviews and on the House floor. Rep. Andre Carson, D-Ind., one of two Muslim members of Congress, called Trump's plan "asinine." Meanwhile, White House officials took to cable news channels to condemn Trump. "It's totally contrary to our values as Americans," deputy national security adviser Ben Rhodes said. "What he is doing is he's dividing America in a really cynical way," added White House spokesman Josh Earnest. "Ultimately playing on fear and playing on divisive rhetoric and trying to mobilize support for his campaign may show some short term benefits in the polls but over the long term it doesn't serve the country well and we'll have to see what impact it has on his campaign."